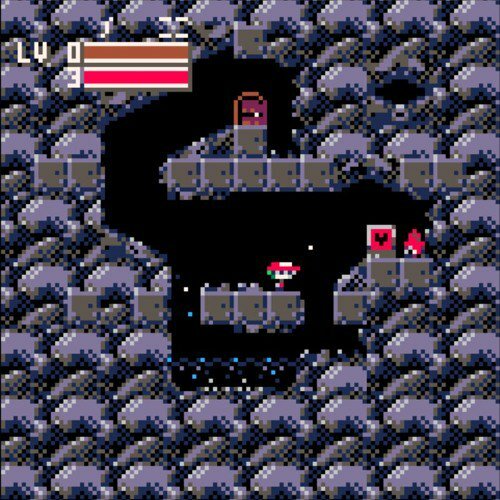 A little (Pico8-sized) project my brother and I have been working on. We are huge Cave Story fans, so building a demake was kind of a childhood dream come true. It never ceases to amaze me how much can be done within the (wonderful self-imposed) limitations of the Pico-8 engine. The first cave's camera is starting in the wrong place. It starts way up high and then drops way down low, far under the level. Might want to look into that. Yeah, I've seen that bug, but I haven't figured out what causes it. I'll look into it when I get the time. Thanks for the note!